Many people think that the internet and the World Wide Web (WWW) is the same thing. While they are closely linked, they are very different systems. or ‘web’ for short) is a collection of Web Pages found on your web browser uses the internet to access the web. able to exchange text, graphics, and multimedia information via the Internet. make available, including text, graphics, videos, sounds, Animation. 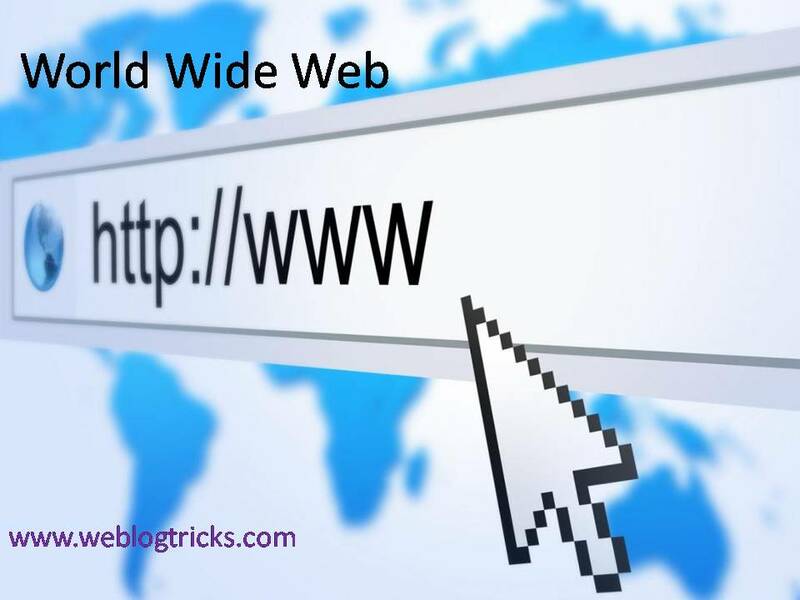 Weblog Tricks - Blogging Tricks for Beginners: What Is World Wide Web?